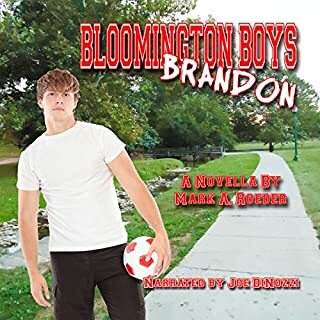 Curtis sets his sights on the heartthrob of Camp Neeswaugee, Cody Studebaker, only to discover that another boy, Elijah, has an eye for him too. When Curtis finds out his dream boy is gay he begins a campaign to impress Cody, but Elijah keeps getting in the way. Curtis and Elijah are locked in a competition and Cody is the prize. Each boy uses dirty tricks and sabotage to eliminate the competition, but they soon begin to suspect that Cody is playing his own game. not one of your better stories but I did enjoy it. maybe next time make them older an a bit more drama? So many beautiful and intelligent young women surround Brandon, he's overwhelmed, but he's truly shocked when he finds himself attracted to another guy for the first time in his life! Brandon has always been secure in his sexuality, but is he secure enough to test his boundaries with a guy? Can he learn to live side by side in a tiny dorm room with his classical-music-playing, opera-loving roommate? Can he help his closeted teammate come out into the light of day? I am so much enjoying the stories but this one I think should have been much longer. got more into detail as to the stories of John an Brandon an their gay friends an how things went through out the freshman year. again I so wish I could have someone write my story for me (ghost writer) an tell how a life is both rewarding an distroyed. Elijah has a dream - to follow in the footsteps of his brothers and make the VHS football team. But, for Elijah it's an uphill battle. 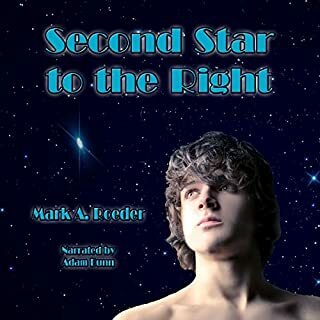 Unlike his tall, muscular brothers, Elijah is small and weak, but he pushes on, determined to realize his dream. Elijah's faith is a source of comfort and strength, but when his new pastor begins to preach out against gays, Elijah feels increasingly unwelcome. While his church seems increasingly un-Christian, Elijah is exposed to the gay boys of Verona - boys who care about each other and reach out to those in need. I totally loved it. it made me cry an laugh. just an awesome feel good story. Cedi is certain of his future until his path crosses that of Thad, a tall, dark, older man who tells Cedi he has no talent. Cedi is infuriated, but intrigued. He becomes obsessed with Thad, who wants nothing to do with him. Cedi isn't about to give up, however, and wedges his way into Thad's life. Cedi finds himself caught between his love for Thad and his dream. Just when he has what he thinks he wants, his adventure truly begins. great story but this should have been book one not 2. wish I could write as well. A specter from the past haunts the halls of Blackford High School, terrorizing anyone who preys on the weak. Rumors say that a Goth/skater boy controls the ghost, but can the rumor be true? A mysterious new boy catches the eye of Toby and his new friend, Daniel Peralta as well. The new boy seems too perfect to be true. Is he or will be become the boy of Toby's or Daniel's dreams? Cedi is living his fantasy-touring with Phantom, the most popular band in the world. I'm much older then the boys in these stories but wish u could have lived a life like there's. 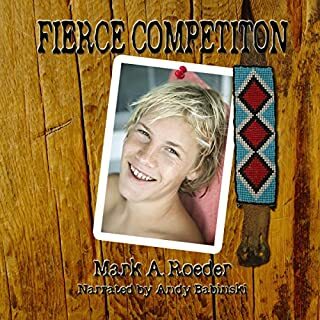 I wish I could have a author like Mr Roder write my story but it wouldn't be as up lifting as the stories he writes here . 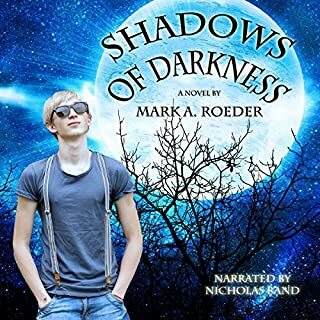 Skye Mackenzie has dealt with the supernatural most of his life, but he's never before encountered the likes of the adventure that is about to descend upon him. 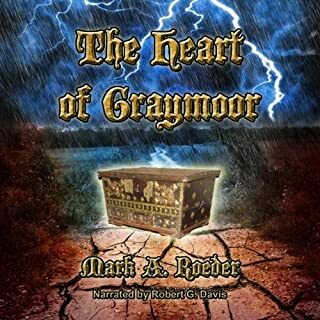 An oddly attired, unconscious boy appears in Graymoor Mansion at the same time a horrific storm begins. 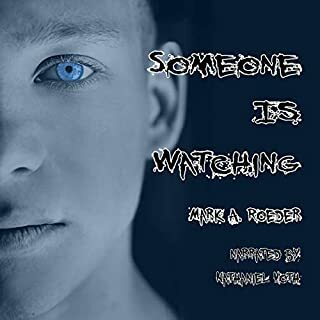 When the boy awakens, Marshall, Skye, and the others discover that their visitor is from another world - a world where elves walk, dragons fly, and fairies are real. I liked the story alot but it didn't catch me like the other stories about the boys an life's challenges. great G rated story though. Skye Mackenzie, the protector of gay boys and virtual superhero, is faced with a new danger that seems unreal. For the first time, Skye tangles with a foe who is more than his match and is saved only by the quick thinking of Devon, his former nemesis. 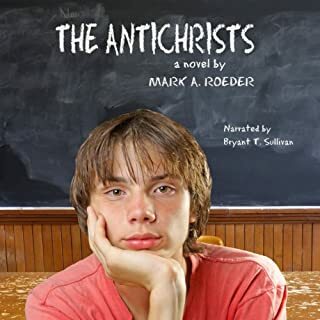 Marshall, Verona's resident expert on the supernatural, summons help, and Skye cannot believe his eyes when the promised aid comes in the form of two young boys. Skye's concept of reality is about to change forever. Skye can handle anything...almost. He's battled bullies and foes most would not believe; he's fought against impossible odds and survived the un-survivable, but nothing that has come before has prepared him for the greatest challenge of all: fatherhood. again I cried an laughed an really felt like I knew each of the people in the story. it pulled me in an now I can't get enough of the story's. 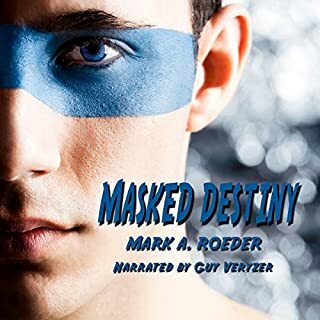 Masked Destiny is the story of Skye, a high school athlete determined to be the Alpha male. Skye's obsessed with his own body, his Abercrombie & Fitch wardrobe, and keeping those around him in their place. Try as he might, he's unable to ignore the world around him, or the plight of gay boys who cross his path. so wonderful of a story. I only wish I could find that kind of love an wish when I was a teenager I could have had that love. if I had I wouldn't be in the life I am now. yes I want to go to my maker but can't. there is something keeping me here.